We offer a full range of promotional products. Promotional products are used by almost every business and organization. Items like drink ware, pens, calendars, tote bags, electronic products with your logo are memorable and provide a better cost per impression for advertisers than almost every major marketing effort. We are able to supply your organization with every possible promotional product from over 4000 suppliers in order to get you the best product for your price point. 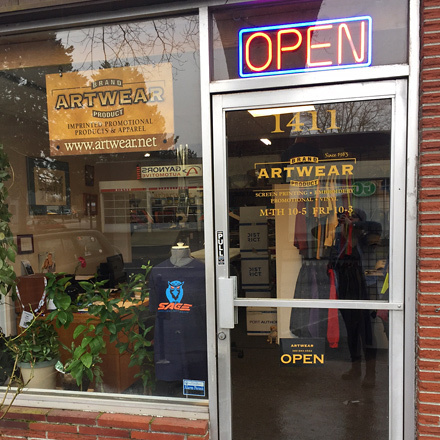 Artwear has been a premier source of custom promotional products and apparel for over 30 years. We are located in downtown Vancouver, WA.